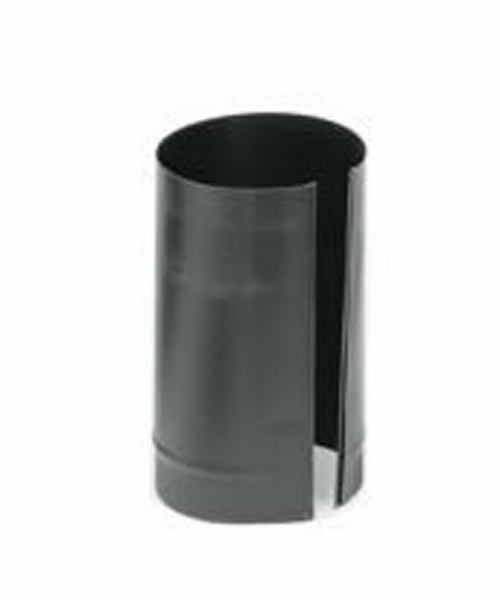 This black stovepipe section by Snap-Lock is used in a stovepipe system that connects a stove to its chimney. The pipe is made of sturdy 24-gauge steel and has a sleek black finish. After the edges are snapped together to form the seam, the part has a diameter of 6". It easily connects to other Snap-Lock products. An 18" clearance to combustibles must be maintained.